This soft vinyl figure of the representative of Mars stands approximately 10-inches tall and can be "flown" by threading a string through the adapter attached to the figure's back. 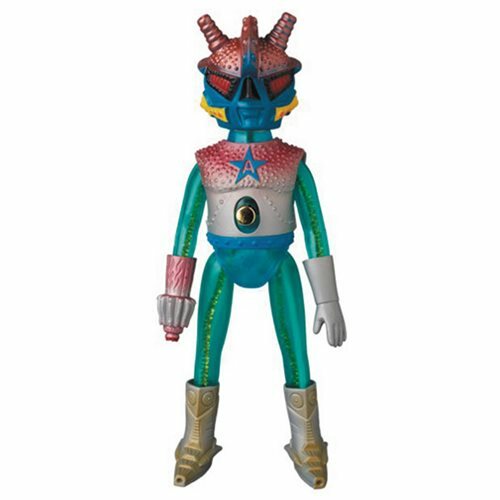 The Ultra Action Boy Astro-Mu 5 Marsman Sofubi Vinyl Figure is a must have for any Sofubi vinyl figure collector! Ages 15 and up.